Apple Tablet: One Tech Gadget for All? PR: SquareTrade analyzed failure rates for over 30,000 new laptop computers covered by SquareTrade Laptop Warranty plans and found that one-third of all laptops will fail within 3 years. SquareTrade also found that netbooks are 20% more unreliable than other laptops, and that Asus and Toshiba are the most reliable laptop brands, while Apple finished in 4th place between Sony and Dell. CNN Money staff writer David Goldman thinks the rumored and much-hyped Apple tablet computer could lay waste to markets for countless other gadgets, and according to him, "technology experts are giddy about the device, already exclaiming it will be the gadget to end all gadgets," - widely believed to be a "magazine-sized, touch-screen, hand-held, all-in-one device that is half-iPhone, half-Macintosh computer" with a 10" to 12" screen and a high-end graphics card that will enable "stunning resolution" and selling at somewhere between $600 and $1,000 depending upon whose guesses are the most accurate. Link: Apple Tablet: One Tech Gadget for All? "High-Def Flash video is a stretch on some hacktintosh netbooks, but Flash 10.1 brings it into the realm of possibility. I just installed it on my MSI Wind running Leopard, and damn: HD YouTube and Vimeo videos were almost watchable." "The story behind this one is as follows: a 17-inch (non-unibody) MBP owner was using his machine on a desk (thankfully), when suddenly an odd noise began to increase in volume; following that, the entire machine 'jumped up' slightly and turned off, and this battery is to blame. Oh, and if this all-too-commonplace occurrence happens to you next, let's hope you aren't actually using your laptop on your, um, lap." WSJ's Walter S. Mossberg takes a look at some higher-end "ultrathin" or "thin and light" PC laptops that are lighter and thinner than many standard laptops, but have bigger screens and keyboards than most netbooks and range in price from around $500 to $900. Mossberg, who recently declared Windows 7 to be "almost as good" as OS X checks out the Toshiba Satellite T135, the Hewlett-Packard (HPQ) Pavilion dm3t, and the Lenovo IdeaPad U350 - all with 13" displays, low power consumption Intel processors, and Windows 7 Home Premium operating systems, weighing between 3.5 and 4.2 pounds, and all falling within the above noted price range - the most expensive of which still undercutting the price of Apple's entry-level MacBook by $160. Mossberg finds the three thin-and-light PC laptops all have notable pros and cons, but rates them all as capable, easy-to-carry laptops. "Yes, the battery life is disappointing, but the Envy 15's powerhouse performance and competitive price make this an impressive desktop replacement system. "It might be more accurate to refer to HP's latest laptop as the Apple Envy, as the design of the machine so closely mimics that of Apple's MacBook Pro range. But, to be fair to HP, it hasn't simply copied Apple. It has added some nice touches of its own, and its use of the Intel Core i7 processor ensures that the Envy 15 outdoes its Mac rivals when it comes to performance." "You might not be able to buy a brand-new netbook running Windows XP much past the New Year, even though Microsoft has committed to offering that operating system for another year. "That's because Microsoft hopes - and expects - that shoppers will buy Windows 7 Home Premium instead." Link: Windows XP on Netbooks to Lose Life Support? PR: Light-emitting diodes (LEDs) will become the dominant large-area TFT LCD backlight unit light source by 2011 with a 56% share, according to the most recent DisplaySearch Quarterly LED CCFL Backlight Report. Traditional backlights using fluorescent tubes (CCFL and EEFL) for notebook PC, monitor, and TV displays will drop to 44% of the market in 2011. DisplaySearch forecasts that LED penetration will skyrocket to 78% in 2015. With the transition to LEDs already taking place in the notebook PC segment, DisplaySearch forecasts LED penetration in large-area TFT LCD will reach 27.8% in 2009. As a result of the LCD TV supply chain's efforts to promote LED backlit TVs, and the introduction of new LCD monitors with LED backlights, LED penetration in large-area TFT LCD is forecast to reach 44% in 2010. Traditional CCFL and EEFL backlights are forecast to fall from 72% in 2009 to 55% in 2011. "LEDs have significant advantages over CCFL and EEFL backlights, such as power consumption, slim form factor, enhanced performance and market differentiation," noted Yoshio Tamura, Senior Vice President of DisplaySearch and leader of the materials and cost research team. "While there are still some technical and cost premium concerns about LED backlights, this is the first time the LCD TV supply chain (including backlight, display and consumer products) has joined forces to aggressively promote the benefits of LED backlight products." "We are seeing a tremendous LED backlight structure improvement, with cost reduction and supply chain revolution efforts, and this will only accelerate over the next five years. LED backlights will continue to drive momentum for continued growth in the TFT LCD industry. As LED backlights gain share in TFT LCD, pressure will be added on emerging display technologies such as PDP and OLED," Tamura concluded. The DisplaySearch Quarterly LED CCFL Backlight Report tracks TFT LCD manufacturers' shipments of LED backlights and includes forecasts by size, by resolution, by LED type, and by panel manufacturers through 2010. This unique report is the most comprehensive way to find out how LED backlight will contribute to growth across the industry, making it a key guide for panel buyers, LCD TV product planners and component makers. 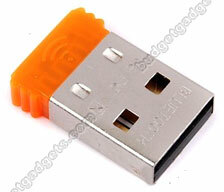 PR: Convert non-Bluetooth PC or Mac into Bluetooth enabled. 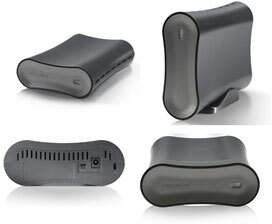 Wireless connect to Bluetooth devices such as Mobile phones, PDA or PC, for data transfer, Networking, and Dial-up, Fax. PR: SimpleTech SimpleDrive! offers simply better external storage and backup. Plug'nplay, Turbo-powered USB 2.0 (Windows now; Mac OS coming soon); keeps your data moving up to 25% faster. With two levels of backup, it's easier to steer clear of life's little disasters and protect your irreplaceable pics, flicks and tunes from spilled drinks, curious toddlers, fire, or theft. No engineering brilliance required. Just plug it in and you're ready to store your capacity-hungry files. Affordable and reliable, SimpleDrive's automated backup software saves copies of your stuff on the drive and on encrypted, secure servers for ultimate online backup protection. Street prices range from approximately $65 to $125 depending on capacity. You can order SimpleTech drives through Low End Mac's Amazon.com store. PR: PowerBookMedic says their rank and file is filled with tech nuts and nerds, and they're proud of that. One thing about working with tech nuts and nerds is that there is never a shortage of ideas. Out of one of these ideas comes PowerBookMedic's latest venture; Mac Jewelry. Yes, Seriously! PR: With BetterTouchTool it is possible to make the gestures on MacBooks do everything you want. You can set key commands that should be executed if you do the selected gesture. BetterTouchTool is based on MultiClutch but it works totally different. So it works on Snow Leopard and does not need installation. Additionally it introduces a new gesture called three finger tap. The standard behavior for this gesture is doing a middle click, but you can customize it the way you want. This works on Magic Mouse and MacBook Touchpad. Magic Mouse atm supports: swipe left, swipe right, three finger tap.